The Crystal Ship will be hitting the road in February, but thanks to our friends at EntertainmentEarth.com, we have the very first in hand review of The Crystal Ship RV with Jesse Pinkman from Pop! Vinyl Figures! This was the original roving lab where it all started for Walter White and Jesse Pinkman! 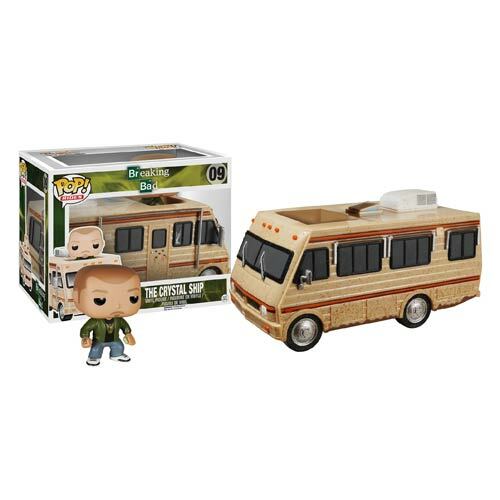 The Breaking Bad Crystal Ship RV with Jesse Pinkman Pop! 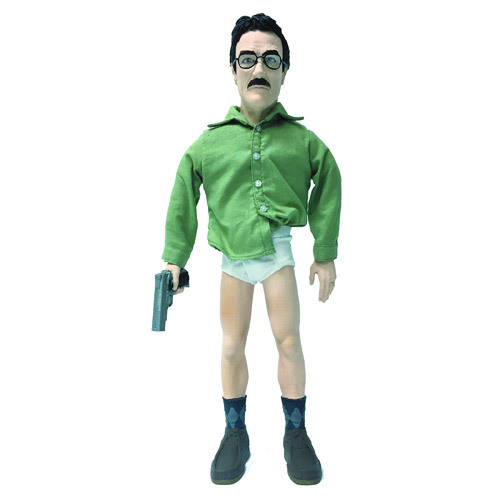 Vinyl Vehicle includes a new Jesse figure wearing a green hoodie, with his tattooed hand and cash in the other, riding along in an impressively painted Winnebago that is true to the show. First let’s take a look at the package. Like most items from Pop! Vinyl Figures, the box is collector friendly, you can remove and put back the Crystal Ship RV without doing any damage to either the item or the box. The RV is covered in dust from the most recent cooking adventure in the desert, features a cracked window, and bullet holes in the door from the pilot episode! A big thanks to EntertainmentEarth.com for supplying this early release sample for us to review. To celebrate the launch of the Breaking Bad Spinoff, Better Call Saul, NerdBlock.com has partnered with Sony to include a really great exclusive item in the February block. If you are not familiar with them, NerdBlock.com sends out mystery geeky subscription blocks full of 4-6 nerdy items and a custom t shirt every month for a great price. You may start and stop your Nerd Block subscription anytime you like, meaning there’s no commitment! This is a great time to give them a try guaranteeing you a cool Breaking Bad / Better Call Saul item. Click here or below to check them out! Use code BREAKBAD for additional savings! We will also be doing a giveaway for the February Block right here at BreakingBadFoerver.com, which will have the exclusive item in it, stay tuned for more details!